I’ve always had wanderlust and this was possibly fueled by growing up in the multicultural surrounds of Melbourne, Australia. I would take a sandwich to school and trade it with friends for spanakopita and baklava, amazed that a boring old sandwich could be traded for such exotic delights. While studying at university, I took an internship in Tokyo and climbed Mt. Fuji for the first time. ‘A wise man climbs Mt. Fuji, a fool climbs it twice’ is a popular Japanese saying… so I climbed it 7 times. From Tokyo to Toronto to London where I’m now based, I’m searching for many of life’s answers, and hoping to find them somewhere along a trail. I initially started this blog to provide information on the Shikoku 88 Temple Pilgrimage as I found it hard to find information online when I hiked this back in 2013. If you’re planning on walking any of these trails, you’ll find heaps of handy info in the above links and if you have a question I haven’t answered, ask away. If you need any inspiration head over to my travel quotes page and feel free to add to the list. Or if you want to sit back, relax and experience any of the hikes vicariously, click here for the videos. Buen Camino, Happy Trails, Solvitur Ambulando! Love your 88 Temple blog. I’m walking the full trail October – November, camping out and the occasional bed (hopefully!). I’ve planned, the best I can, roughly how much walking per day and where to stop, averaging roughly 30km a day. Now I see you’ve got a few 50km days. Question – HOW? Also did you find it difficult with your injured knee? Inspire me please! Thanks Kat! That puts things into perspective! I hope you have a wonderful time! (Just in case you’re unaware though, September is typhoon season in Japan, so if your plans are flexible it might be better to start after this…) Any questions, let me know! Yes thank you for that advice I will go later in September and visit friends first before embarking. The rainfall can be intense. I seem to get help from all the Adventure ladies! Thanks again your trip details are very useful. Hi, Kat, You’re walking passion is absolutely inspiring! I have an interest in walking the route (if there still is one) from London to Canterbury, like the pilgrims in Chaucer’s Tales–telling stories enroute. Have you done that/ or considered it? I’d love to do it with a few other people. We are a party of male and female 4 people living in Ise city who met you at Tsuzurato of Kumano Kodo on May 20. Do you remember us? Taking a commemorative photo together, I asked them to talk about the two snakes. I am moved by the power of Kat who is traveling alone all over the world. Have you finished your trip to Kumano Kodo already? Please enjoy your journey in Japan. It was wonderful to meet the four of you and I really enjoyed the break on top of Tsuzurato-toge. Thank you to everyone for all the sweets too! I arrived in Shingu yesterday and I really enjoyed the Iseji route but it’s a shame that there’s hardly any signs. I’m planning to start the Ohechi tomorrow from Tanabe and then I’m flying home at the end of the month. Always nice to read the blog – and see the nice pictures!! You should start to be a tour guide – would like to be part of it all…. Just beginning to plan a 2 month walk on Shikoku and your blog is quite helpful. last September ( starting in Porto & including Finesterre and Muxia ). services on the Shikoku trail ? As you probably write answers to similar questions all the time, I’d be happy to call you if you send me your number. Sorry for the delay, I’m just back from a walking trip to Japan myself and the wet October I just experienced (for a second time) will greatly influence my answers to your questions! 1. Weather: What would you say are the best 2 months to walk to get the best weather? I walked it in October 2013 expecting gorgeous autumnal cool days and instead got three typhoons. I’m just back from Japan having spent all of October there and again got hit with typhoons so I would say spring is a more settled time of year – march/april or april/may. June is the rainy season, July & August is sticky hot, September is typhoon season (and unseasonably October is increasingly getting typhoons too). involved with Tibetan Buddhism for almost 50 years ) and those ” in – between ” arras we could / should cover by bus / train / taxi or whatever. This is the hardest question I get quite a bit and I can never really answer it. I think it will depend how much you like/dislike walking along roads compared to walking in the mountains and you could plan this by looking at the map book. Dogo Onsen in Matsuyama and a night at Zentsuji temple (#75) where Kobo Daishi was born are two highlights not to be missed. Not that I’ve heard of but if you’re planning to stay in accommodation then you can pack very light – in minshuku’s or ryokans you’re given a yukata dressing gown that you can wear to dinner and bed, and you can wash your clothes most evenings so you really only need one set of walking clothes (that are quick drying), then a warmer layer like a fleece as well as rain gear. I don’t even take a second pair of shoes to Japan anymore. Hi Kat, hitting Temple 67, 68, 69 today on the Shikoku route. Walked most of it and took train or bus due to difficulties finding accommodation or 2 Typhoons! I have been averaging about 25 km per day. Mostly road and pavement walking and dodging cars! Losing weight has been great! It should be called The Shikoku diet! Thanks for the update. I was walking in Japan at the same time as those typhoons and they caused quite a bit of havoc! We met at Shingu city, Wakayama prefecture when you walked Kumano Kodo in May. I’m a owner of small private library. I told you I’m also walking traveler and I may walk Camino this winter. and I’m in France now! 1. Which is youre recommend Camino Francés or Camino del Norte? My plan is walking Camino,Camino Portuguese and Rota Vicentina about 2 month. I’ll start walking in 1 week but I don’t decide yet which route I will take Camino Francés or Camino del Norte. I remember you told me about Oviedo and Camino Primitivo. 2. 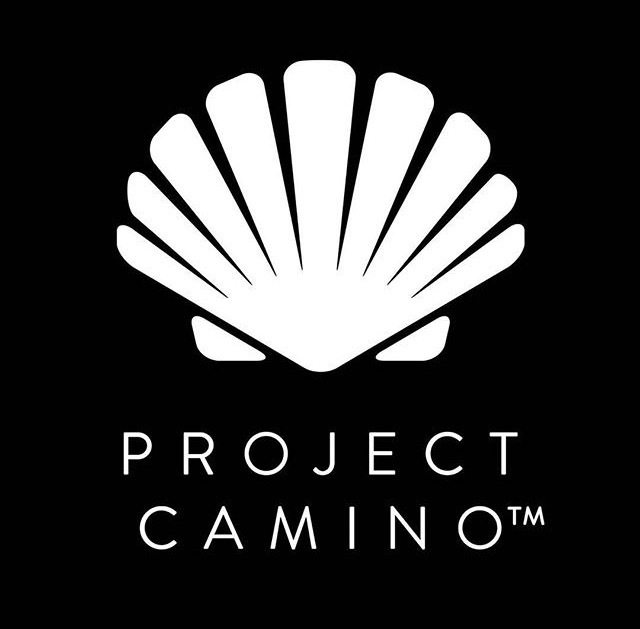 If you slept outside while walking Camino, Which place could you sleep? I heard travelers may be able to sleep church or gas station. 3. I will travel Ireland with French friend about 2 weeks next February after my walking travel. Do you know trail route and do you have some recommend place in Ireland? 1. I’ve not walked the Norte and I’m not sure what the weather would be like at this time of year (possibly rainy), but I have walked the Frances in late November and although it snowed and was very cold, there were still enough municipal albergues open to stay in everyday. 2. I know of some people who have camped along the Norte, but I don’t know anyone who has along the Frances. You don’t pass many gas stations on the Frances and not all of the churches are open. I would plan to stay in municipal albergues where possible. Have a wonderful walk and let me know if you’re visiting London! Thanks for answering and giving tips!! I started walking 5 days ago from Irun and I’m in DEBA now. but it’s good because night is warmer than sunny day. Anyway I enjoy landscape and walking! I chose Norte route because it is warmer than Frances (I checked temperature and altitude after seeing your message, really thanks!!) and I want to visit some town on the way of it. I have a tent so I slept outside and public albergue. information of Ireland is also thanks! I don’t check it well yet but I will do before visiting! Maybe I and friend will pass London by car so if we have chance to meet, I want to meet you again! Have a wonderful time, and I hope to see you in London! Buen Camino! Blimey! 7 times that amazing. I have lately been thinking about hahaha and I shall still admit – I am still thinking about it. But your story really inspires me – however, I am not a tracker – any tips would be appreciated. Kat all I can say is that you typify a life being lived. My wife Linda and I are off to walk from Dublin to Kerry in June this year having done a few other walks and 2 caminos. What camera did you use to capture these great shots? Hello Kat. Good on you for doing your exploring and a big thank you for writing about it. Having been to Japan many times, I will go over you Kumamoto Kodo posts, having taking in only a few small sections and planing to do the whole trail in 2020. And only yesterday, my wife and I decided that Scotland is our place for late 2019, with the West Highand Way top of the list. So I will unashamedly pilfer your ideas. Hi Kat, I loved reading about your TMB trip with your dad! I’m planning on doing it next August with my teenage sons and my husband but he is worried about his bad knees on the descents and doesn’t want to mess up a good family trip. Are there alternative options for descending to town by bus or even taxi and meeting up with us later? It looks like it’s up and down the whole way but if I can find some alternate routes for the bigger descents then maybe we can make it work. Any ideas? I understand your husband’s concerns, I was really worried about my knees as well so I taped them each day with KT tape as well as wearing knee braces and also used hiking poles. (Might sound over the top but it worked thankfully!) There aren’t really any taxi / bus options to descend most of the mountains but there are a fair few cable cars and chairlifts that he could use, we used a few around Courmayeur and Chamonix. I can’t recommend hiking poles enough if he has bad knees and just taking his time on the descents. 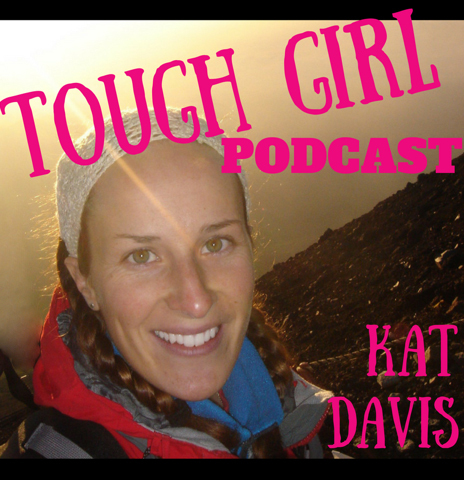 I listened to you on the Tough Girl Podcast and was very inspired. I am a full time gypsy adventurer, currently traveling around the world on bicycle. I am also a mother, meditator, cyclist, trekker, chef, scuba diver and yogi. I take my 12 year old traveling 3 times a year. This summer we have a month in JUNE to do the PCT. I am trying to figure out which part to do. I would be so grateful for any suggestions!! Thinking about the PCT in June, the first area that came to mind was Oregon, especially around Crater Lake and one month is a good amount of time to see a lot of the PCT in Oregon. Depending on the snow fall, quite a few other areas might still be snowed in (other than the first 700 miles of Californian desert from the Mexican border to Kennedy Meadows).